Right on cue, Mary Jo Foley has chimed in with her expert opinion on the latest Project Pink rumor. 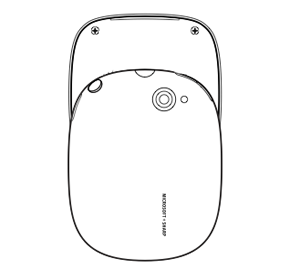 Weekend gossip that has Microsoft and Sharp "unleashing" a pair of slider phones codenamed "Turtle" (pictured above) and "Pure" in January (likely at CES). JoFo thinks that it's possible that the rumored handsets could be announced in January, but any phone from Microsoft's Pink skunkworks project wouldn't launch until Windows Mobile 7 was ready, an OS not expected to ship on consumer devices until the end of 2010. Still, a January announce certainly aligns with the modern product buzz life-cycle: the iPhone landed six months after its unveiling while the first Google co-branded phone -- T-Mobile G1 -- took almost a year to bump hands of anxious consumers. Foley also addressed 9to5Mac's tease of a "much, much bigger and juicier" rumor related to a Microsoft tablet in the late prototype phases. According to her sources, a new Microsoft tablet is part of something called "Alchemy Ventures" and contains at least one exec from Microsoft's Surface team and presumably led by our buddy, J Allard. You'll recall that Microsoft was already rumored to be working on "Oahu" a Surface-based tablet for consumers. So when might we see it? Mary Jo speculates that Microsoft could be waiting to see what Apple's working on before showing off Redmond's competing design. In other words: February. Microsoft's Turtle and Pure 'Pink' phones and Surface Tablet: take 2 originally appeared on Engadget Mobile on Mon, 21 Sep 2009 04:44:00 EST. Please see our terms for use of feeds.